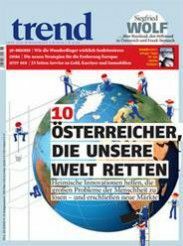 The use of EcoTILLING for the genetic improvement of Jatropha curcas L.
Bioplant R&D has been nominated among 10 Austrian enterprizes aiming at contributing solutions to global challenges. 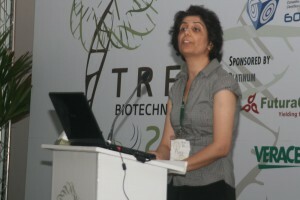 Bioplant´s partners (Margit Laimer and Fatemeh Maghuly) presented four contributions to the IUFRO Tree Biotechnology Conference, 25.6. – 2.7. 2011 in Bahia, Brazil. 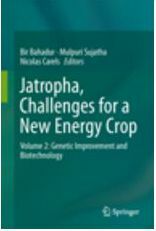 „Especially in newly domesticated crop plants as in the case of Jatropha curcas the virological and vector research aspects have an important role“ confirms the renowned phytopathologist Prof. Dr. Karl Maramorosch in the occasion of his visit at Plant Biotechnology Unit at BOKU. Prof. Dr. Karl Maramorosch has made major contributions to comparative virology, insect cell culture, and virus-vector interactions. Born in Vienna in 1915 and grown up in Poland, Prof. Maramorosch emigrated to the USA after World War II, where he began his scientific career at the Brooklyn Botanic Garden in 1947. At Rockefeller University, he carried out a serial passage of the aster yellows phytoplasma in leafhopper vectors, demonstrating the multiplication of plant pathogenic phytoplasmas in invertebrate animal hosts. 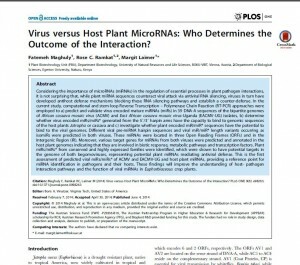 Then at Boyce Thompson Institute and later at Rutgers University he developed the hypothesis that certain viruses and phytoplasmas are pathogens of both plant and invertebrate animal hosts. 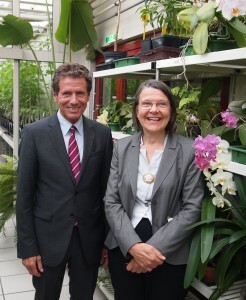 Prof. Maramorosch was awarded the Wolf Prize in Agriculture, often called the Agriculture Nobel Prize, in 1980 for his work on interactions between insect vectors and plant pathogens. His work resulted in the publication of over 800 scientific papers, as well as over 100 edited books on viruses, invertebrate cell culture, and plant diseases. 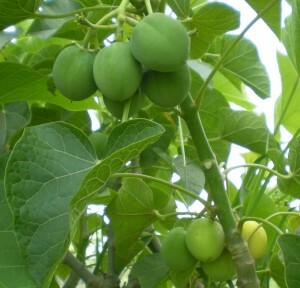 LGC Genomics, the genomics division of LGC, announced that it has completed the sequencing of the whole transcriptome of the different developmental stages of Jatropha curcas seeds on behalf of the Austrian Bioplant R&D, Vienna and the PBU, Department of Biotechnology, VIBT-BOKU, Vienna.